It is an ambitious statement pregnant with audacious claims. It is true that Achebe is revered worldwide to the point of undignified fawning. In September, this year, I attended the Garden City Literary Festival in Port Harcourt, Nigeria. I had a wonderful time. The theme was Politics and Literature. Chinua Achebe’s spirit was everywhere, his venerable face was piped in by video all the way from America and he gave a speech. We must have given every word a standing ovation. The son gave yet another speech on his behalf – flanked by a long row of old writers (of previous dispensations) waiting their turn at the high table to speechify. Young writers cooled their heels in the audience only to be dutifully trotted out for photo-ops. However, Achebe is not as over-exposed as the troika of Chimamanda Ngozi Adichie, Helon Habila and Binyavanga Wainaina. They are the ones called upon by the Western literary establishment each time something needs to be said about ‘African literature.” It seems the case these days that Westerners think that African literature begins and ends with this hugely talented trio, It is a problem. 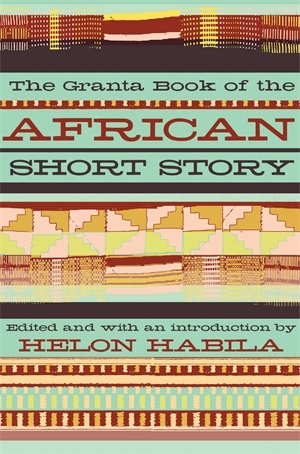 I also dispute the notion that African short stories of Habila’s generation are rarely anthologized; their stories fill anthologies, many of them poorly edited, alas. The book brings to the fore the debate about who defines what is an African story. It is interesting; the contemporary writers in this collection are virtually all writers in the Diaspora and as Habila freely admits, influential in determining what is African literature. To the extent that there is practically no one writing from inside the continent, it is presumptuous to declare this collection representative of African short stories. Habila’s work is an important collection that documents the heavy, perhaps undue influence African writers in the Diaspora wield in shaping the face of the African story. This influence has been amplified by globalization, the digital age, and the near collapse of traditional publishing in Africa. If this trend is not arrested, we will be living witnesses to the distortion of the history and face of African literature by Western patrons with the unwitting cooperation of influential star writers like Habila. It does not have to be so. In the essay, Habila coins an interesting term – “post-nationalist” to describe today’s African writers: “My use of the term ‘post-nationalist’ is aspirational. I see this new generation as having the best potential to liberate itself from the often predictable, almost obligatory obsession of the African writer with the nation and with national politics, an obsession that at times has been beneficial to African writing, but more often has been restrictive and confining to the African writer’s ambition.” Tom Begg writing here on September 16, 2011 in the Think Africa Press disagrees: “In spite of Habila’s bold words in the introduction, many of the stories in the collection are concerned with regional and national issues, looking to the continent’s blighted history or current social problems.” The book does feature several stories that have been previously published elsewhere by the contemporary writers; many readers will recognize the pieces from previous encounters. If I don’t read Adichie’s “The Arrangers of Marriage” again ever, I will be perfectly fine. The collection pits new writers like Adichie and EC Osondu against writers of old like Camara Laye and Alex La Guma. Habila’s vision was to track the arc of African writing from the pre-colonial to the present. Habila provides a rationale for the theme and design of the anthology: “I eventually decided to order these stories generationally, starting with the youngest writer and ending with the oldest, the intention being to showcase the newest writing from the continent first, before moving back in time to show what came before that, as that is what these younger writers must have grown up reading.” I am not sure this was a successful experiment. It is impossible to tell when the new ends and the old begins. It would have been more useful to rank the stories according to when they were written to get a good sense of the trajectory and the times. To follow Habila’s logic, if the octogenarian Gabriel Okara writes a short story based on today’s Nigeria (he is still writing), his story would belong at the end of the book. That makes absolutely no sense. I would have partitioned the writing in sections by the era in which the stories were written. The Nigerian writer Tolu Ogunlesi also reviewed the collection in the UK Independent here. Ogunlesi asks crucial questions about what our writers are preoccupied with and who determines what an African story is. Ogunlesi lists the themes in the collection as predictable staples of African stories: “Recurring themes include exile, return-from-exile…slum-dwelling, arranged marriages, and the antics of sexually exploitative tourists…” He reacts to Habila’s work with a gentle sigh: “Conspicuous by its absence in this collection is the internet. Not a single person is to be found Googling or sending emails. Mobile phones show up only a handful of times, although in the Africa of the 21st century, Russian Kalashnikovs have largely given way to Chinese mobile phones.” When I said the same thing here upon reading the offerings on the shortlist for the 2011 Caine Prize; many aggrieved writers and their friends threw pity parties in which my backside was the fillet mignon du jour. I simply said: “The stories are so ancient, it is a wonder they did not feature smoke signals and slide rules…there is not a single mention of the Internet and cell phones, not once. Outside of the destructive force of organized religion, wars and diseases, the Internet and cell phone technology are the most powerful forces in the ongoing restructuring of African communities.” To be fair to Habila, many new readers would enjoy and could use the exposure to writers of old like Camara Laye, Alex La Guma and the irreverent Dambudzo Marechera. Habila’s collection is eclectic in how he introduces the reader to older African literature. However, it is instructive that readers and reviewers are having difficulty telling contemporary works apart from those of the older writers. Again, the question: Do the contemporary writers featured in this anthology truly represent the depth and breath of African short story writing? Let me propose again that to the extent that they are used over and over again as yardsticks for what is African literature, the history and trajectory of African writing are being distorted by an influential but over-exposed few. I do admire what institutions like Granta and the Caine Prize have done for African literature, in collaboration with many star African writers like Habila, Adichie and Binyavanga Wainaina. There is a tiny minority of influential writers out there (and Habila is one) who are in a position to determine the direction of African writing. They must be supported and encouraged – to do the right thing. The Zimbabwean writer Petina Gappah has a useful review of the collection in ft.com here. She observes that with this collection Habila seems to have engineered a reunion of Caine Prize winners: “… almost half of the writers here (including Habila himself) have come to prominence either by winning or being shortlisted for the award… It is no coincidence that the Caine writers are among the best known from Africa. This raises the perennial question of the nature of African literary production that has preoccupied the continent’s critics and thinkers since the first African writers were published in the west.” Gappah is on to something here. Of the twelve Caine Prize winners since its inception in 2000, seven of them, two finalists and a Caine Prize judge are represented in this volume: Leila Aboulela (2000) Helon Habila (2001), Binyavanga Wainaina (2002), Brian Chikwava (2004), Henrietta Rose-Innes (2008), EC Osondu (2009) Olufemi Terry (2010); Doreen Baingana (Caine finalist), Laila Lalami (Caine finalist); Aminatta Forna (Caine Prize judge). Then there is Adichie, Uwem Akpan, etc. They are all friends known to each other. Calling this a reunion is more generous than what comes to my mind – cronyism. Habila is appreciative and respectful of the muscle of the Internet in shaping literary discourse: “With the coming of the Internet to many parts of urban Africa in the late 1990s, a new avenue for publishing was discovered and the African short story finally began to get its long-overdue moment of recognition. The traditional publishing landscape, with its excessive restrictions, was suddenly superseded. The Internet is today doing what the newspapers and magazines did to the development of the short story in Europe and America at the start of the industrial age.” I agree absolutely. Contrary to contemporary lamentations, the social media and the Internet are making compulsive readers out of consumers all over the world. Writers and traditional publishers should stop reacting to this phenomenon like oil on water. They should embrace this new democratization of our literature; we will all flourish materially and spiritually as a result. There are many talented new voices writing amazing stuff on the Internet and elsewhere; there should be a process for accessing, nurturing and collating their important works. Yes! There are indeed many excellent emergent writers online. I, for example. *winks* Thank God for self-publishing o! One day we shall reach world acclaim. Are there really yardsticks for determining who a true African writer is? What indeed is true African writing? Well, folks I would love to be discounted on this: – in spite of the sprinkling some francophone or so authors; don’t u guys think that one of the weakness of this anthology is that from a geo-linguistic perspective, the distribution is too Anglocentric (same sins of those who control the canon…or non-Anglophone Africans don’t write good stories…or as controversially argued already: is this a Caineistic & cronyist agenda)…an Anglocentric literary mafia at work?! I always like reading your reviews – eloquent and detailed. Is there such a thing as a true African writer? Time will tell. Thank you for sharing. Great as usual. My disappointment is Habila’s fall-back to Caine for a stamp of authority. Why couldn’t he have discovered new great stories without using the Caine Prize winners or shortlists as a plank? It is lamentable that we have to rely on award-winning writers to know our best writers.